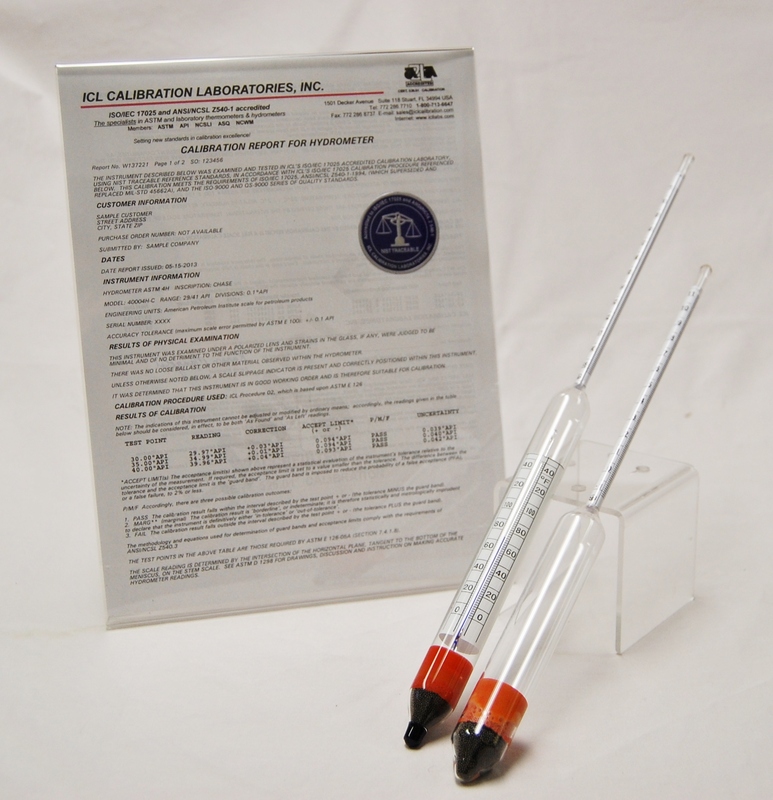 ICL’s hydrometers are produced in the United States by outstanding manufacturers known for quality craftsmanship and accuracy of reading. Manufactured strictly in accordance with all applicable ASTM specifications, these ASTM hydrometers have become the industry standard for close, accurate readings. All instruments in this series are available with our NIST Traceable certification, and as such serve as primary reference standards in many governmental and private laboratories. ICL is an organizational member of ASTM and our Technical Director, an active member of ASTM since 1977, serves on Committee E20.05, which has responsibility for ASTM specification E-100, ‘Standard Specification for ASTM Hydrometers’ as well as E-126, ‘Standard Test Method for Inspection and Verification of Hydrometers’.